It is a sample string reverse example. 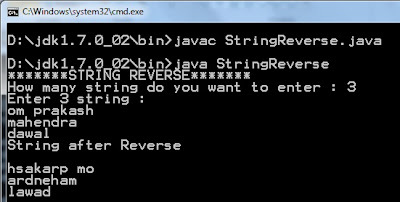 In this program read array of string from user and give output array of reverse string. Here use StringBuffer class and create object name of StringBuffer class. Use method reverse() to reverse inserted string.